It’s like fashion week for your home! 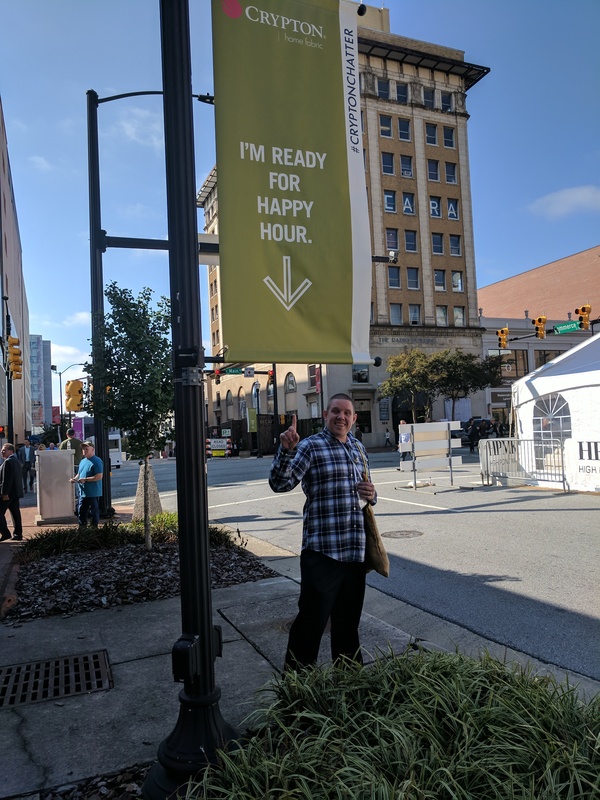 Last week we traveled to High Point North Carolina for the largest furnishings industry trade show in the world. 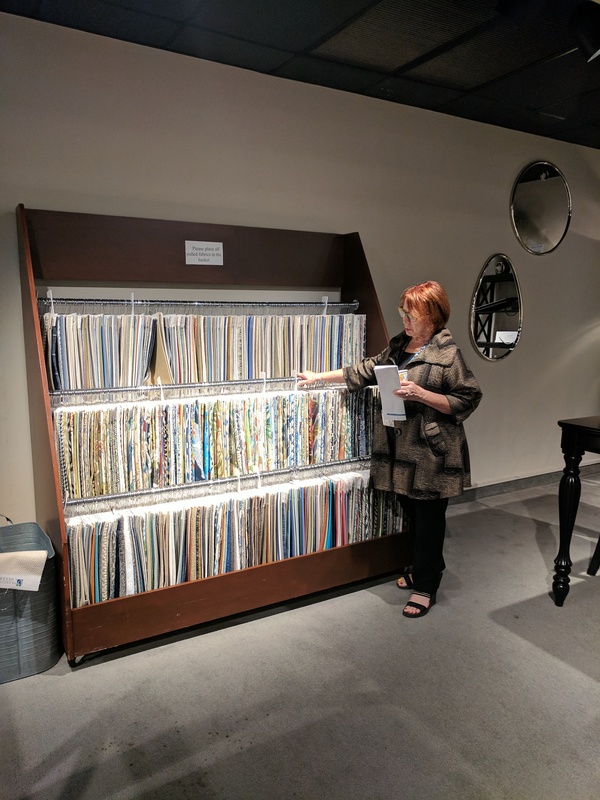 We toured countless showrooms, took hundreds of pictures, purchased new designs for our showroom, and discovered what’s trending in home decor. We were in High Point for a total of three exciting and exhausting days, and our feet were throbbing by the time we departed for home. 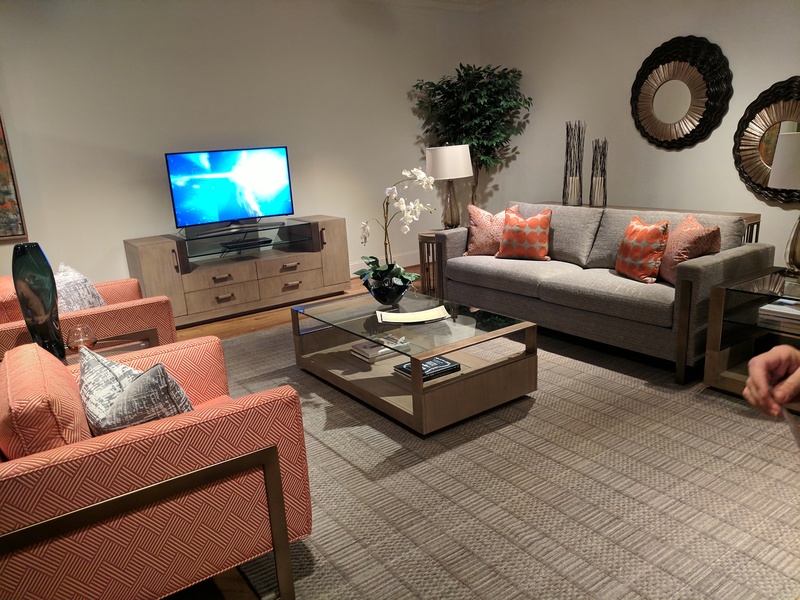 It was all worth it to be able to offer the latest quality furniture in Upstate, NY. 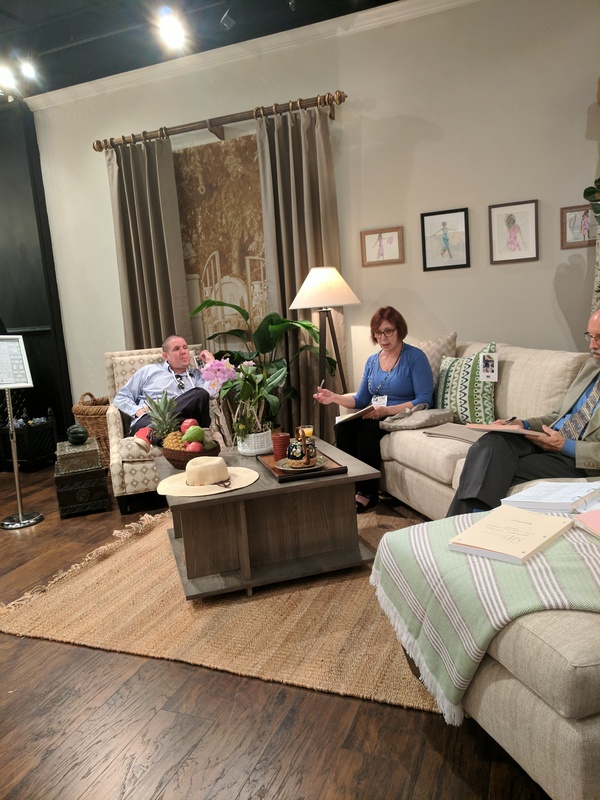 Check out our pictures for a behind the scenes look at our trip to High Point Furniture Market! They had beautiful hand crafted furniture and glass mosaics. They even had a Cordon Bleu trained chef whipping us the best scrambled eggs Nancy has ever had! 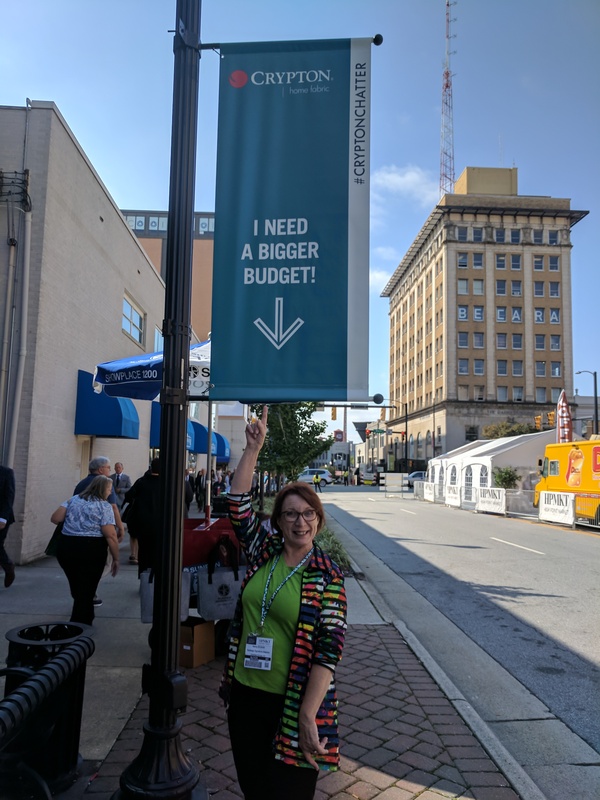 Starting Highpoint Market off on the right foot! 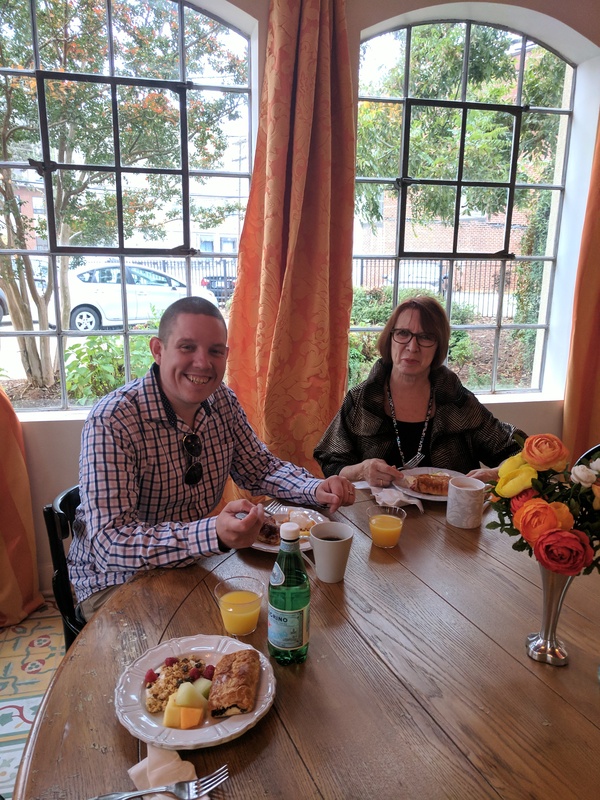 Having Breakfast at the French Heritage Showroom. The French Market Showroom in High Point North Carolina . 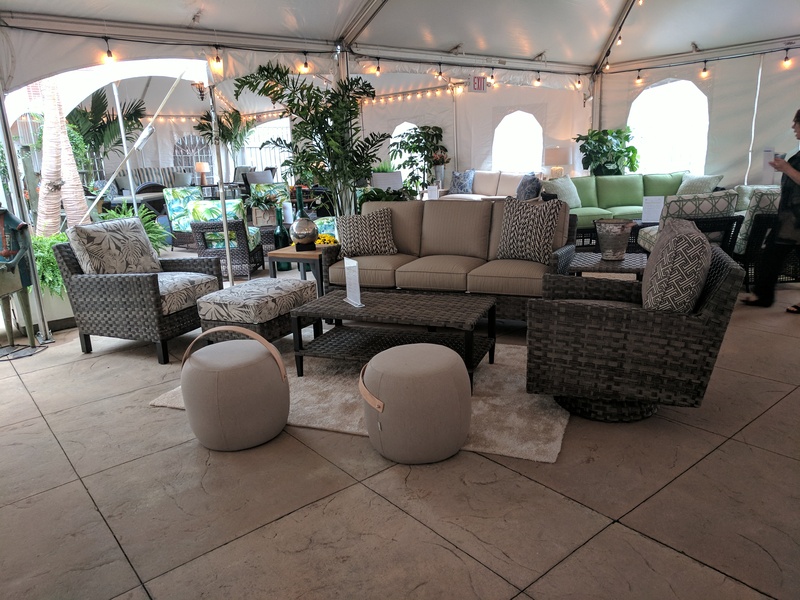 At the Braxton Culler showroom we looked at everything from casegoods to hand crafted upholstery pieces to outdoor furniture. They have a huge selection of beautiful new fabrics, and we are eager to add them to our extensive fabric library! Nancy was able to need Mr. Braxton Culler himself! All of Braxton Cullers handcrafted upholstery pieces are made right here in the U.S.A! Furniture Available at Saratoga Signature Interiors. Quality furniture in Upstate, NY at affordable prices! Furniture available at Saratoga Signature Interiors. Braxton Culler’s new fabric introductions! We can’t wait to get them hung! Nancy with Mr. Braxton Culler himself! We arrived at Lexington Just in Time for Lunch! The Lexington showroom offered us the best lunch of our whole trip, but we were so hungry we forgot to take a picture for the blog. You’ll just have to take our work for it! 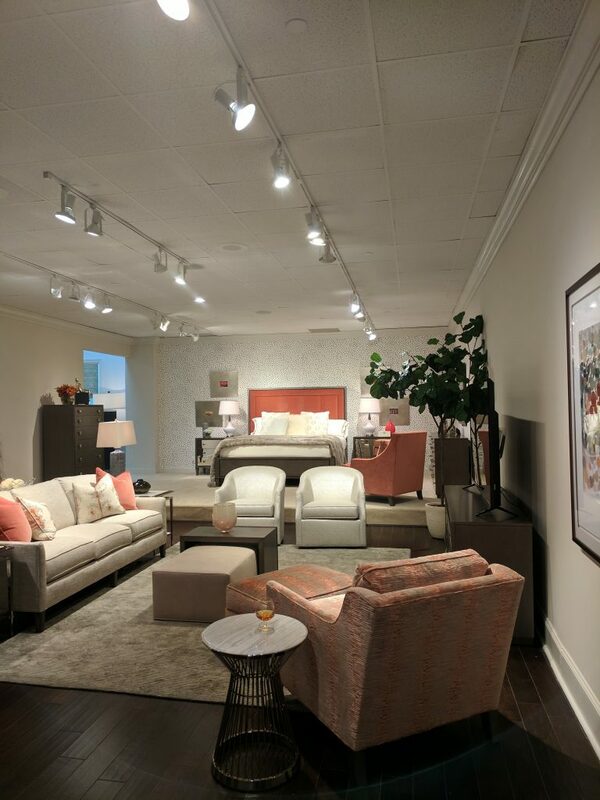 Lexington has a HUGE showroom, and it spans five full floors! There was a lot to see, and all of it was beautiful! 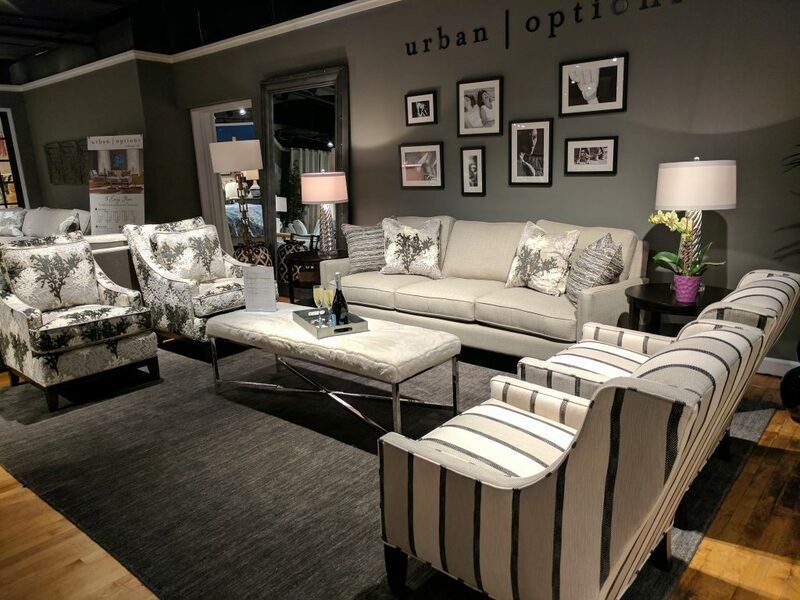 Lexington offers everything from casegoods, to outdoor furniture, to hand crafted upholstery. Furniture Available at Saratoga Signature Interiors. The Anatomy of Quality Hand Crafted Furniture. Ever wonder what sets quality furniture apart from the rest? All of our upholstery is hand crafted in the United States. Each piece we sell to our customers, whether it comes right off of our showroom floor or it’s ordered to meet a customer’s design specifications, is built to last by skilled craftsmen. 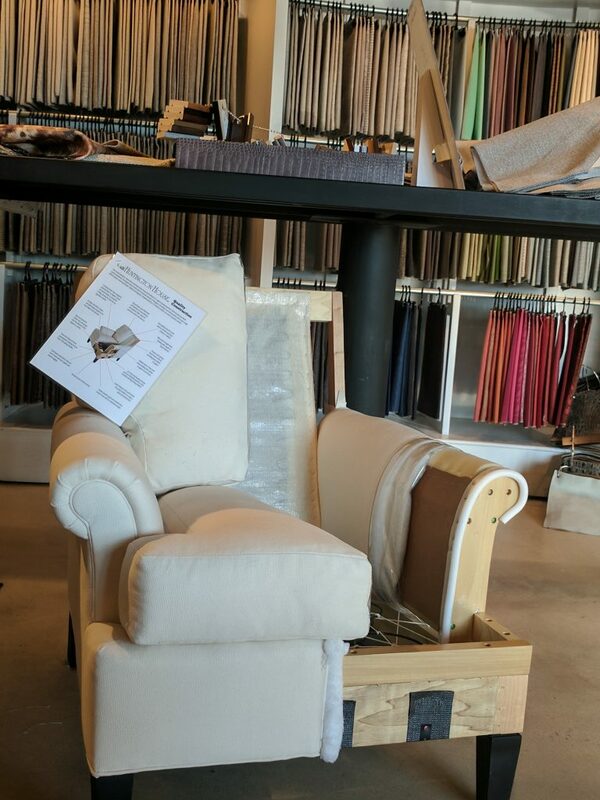 All of Saratoga Signature Interior’s upholstery is handcrafted right in the U.S.A.! Each quality piece is made to order by skilled craftsman. An inside look at what goes into a handcrafted piece of quality furniture. The Anatomy of quality built chair. Furniture available at Saratoga Signature Interiors. We were all ready for happy hour! After Lexington we traveled to several different showrooms, way too many to mention. We finally, after 13 hours on our feet, ended up back at our hotel room. We were all exhausted! Days two and three at High Point Furniture Market brought with it a ton of great finds! 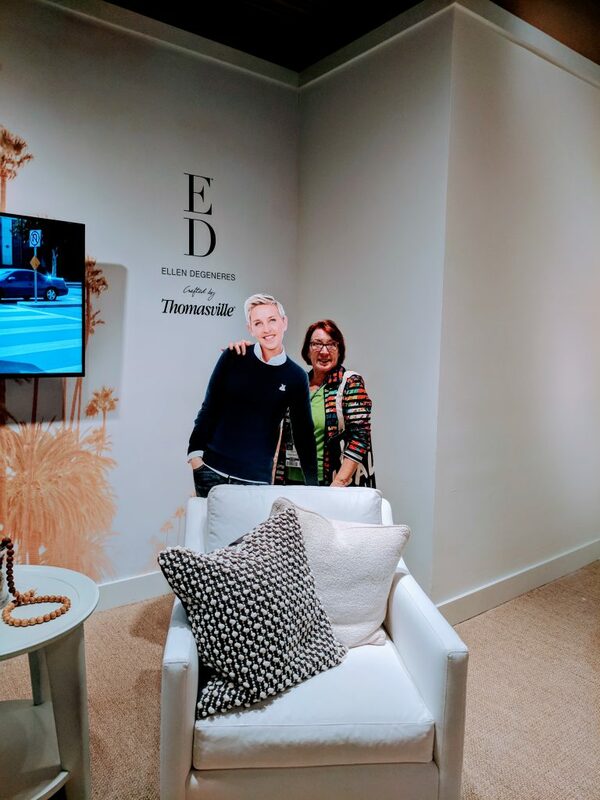 Nancy met Ellen Degeneres…kind of! 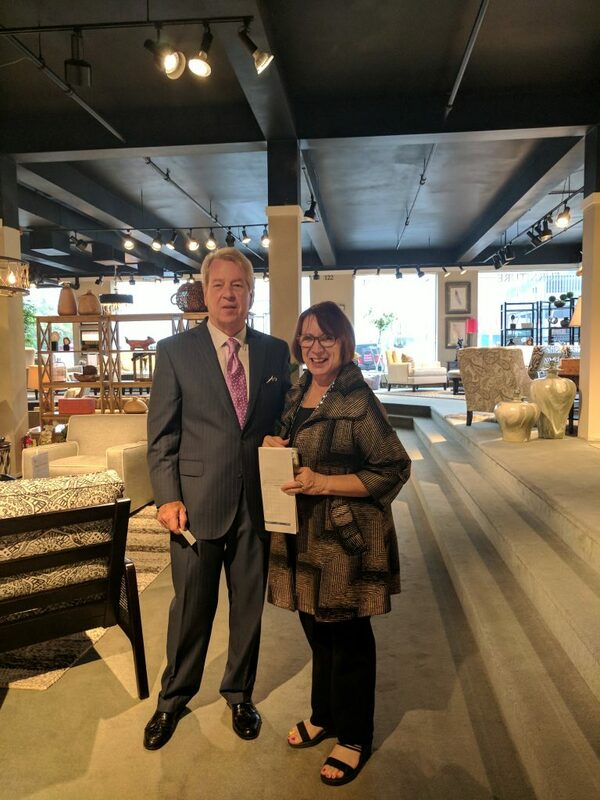 We spent another two days touring beautiful showroom after showroom, and we found a lot of great new furniture for our own showroom in Saratoga Springs, NY! 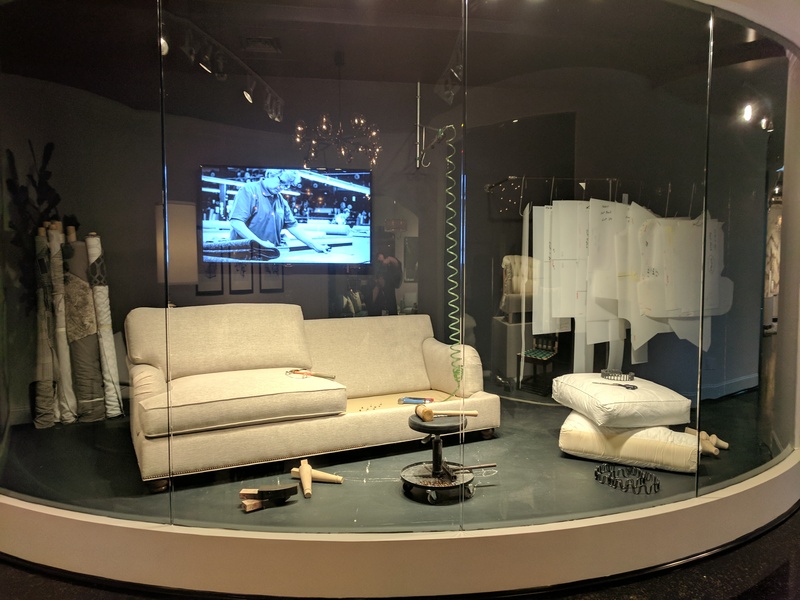 Taken at Sherrill’s showroom in High Point, North Carolina. Furniture available at Saratoga Signature Interiors. 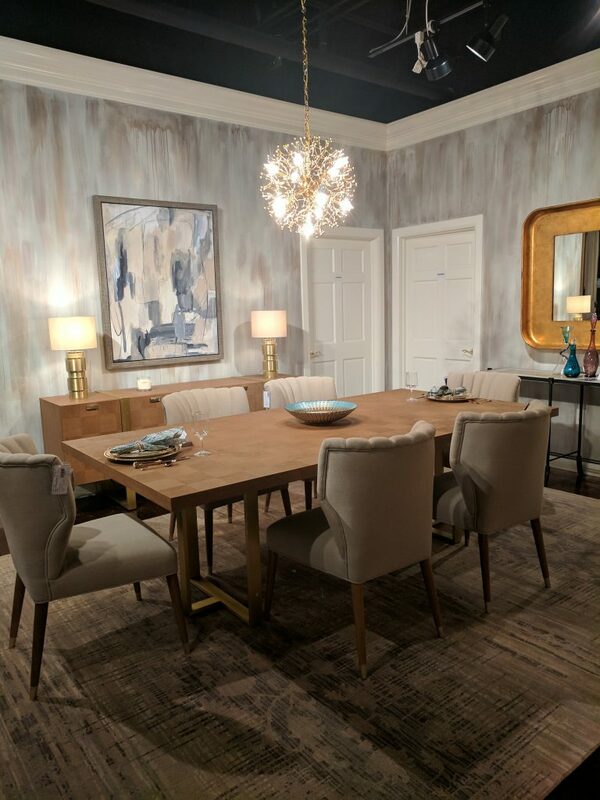 Huntington House’s showroom was absolutely beautiful. We loved this use of bright colors! Furniture available at Saratoga Signature Interiors. 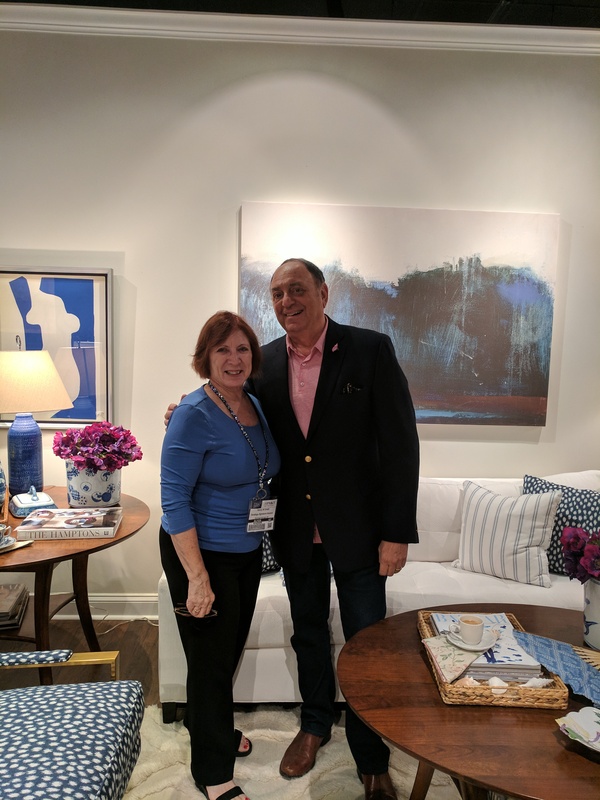 Nancy was able to catch up with Joe Ruggiero. He designs a line of furniture for The MT Company. Furniture available at Saratoga Signature Interiors. 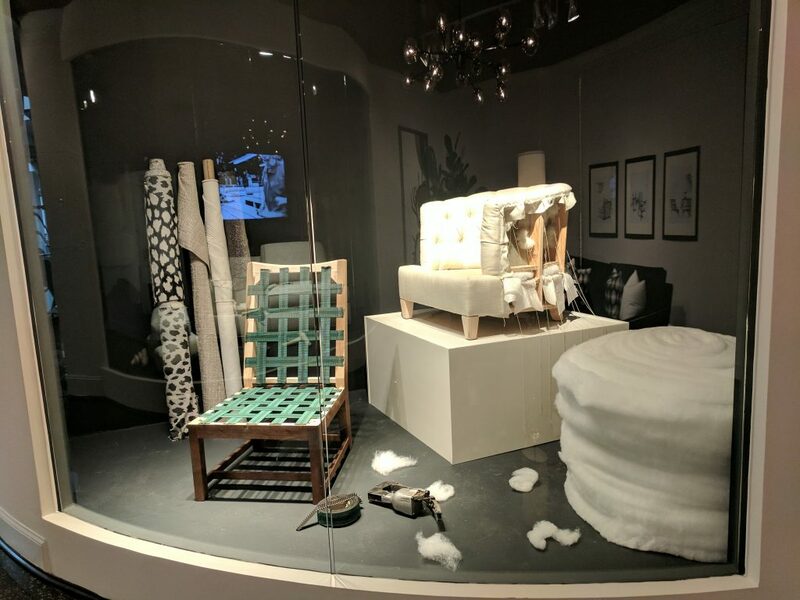 We loved The MT Company’s furniture showroom! Nancy and Colby are resting their tired feet while they go over things with our Representative. By the end of day three Nancy had reached her Market budget. 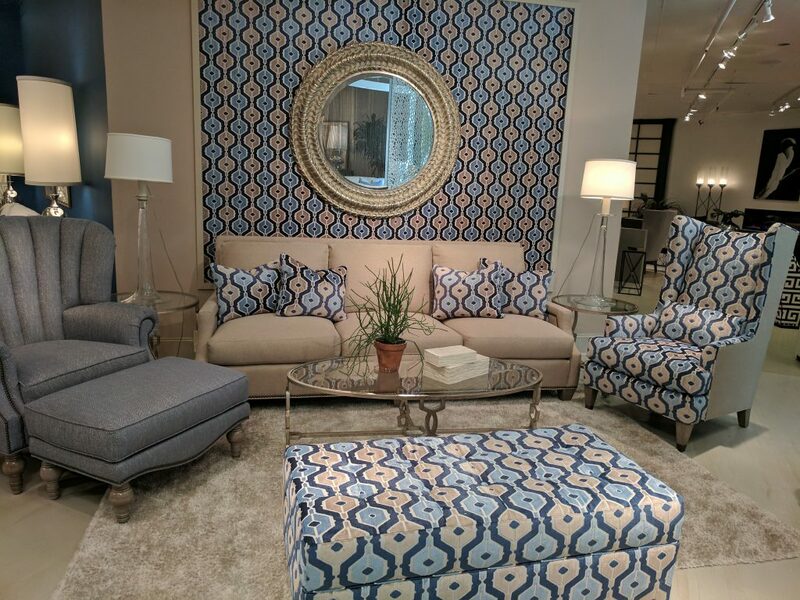 We Can’t wait to get all of our new furniture pieces on the showroom floor! Looking for high quality, stylish furniture in Upstate, NY? Looking for furniture made right here in the U.S.A.? We can help with that! 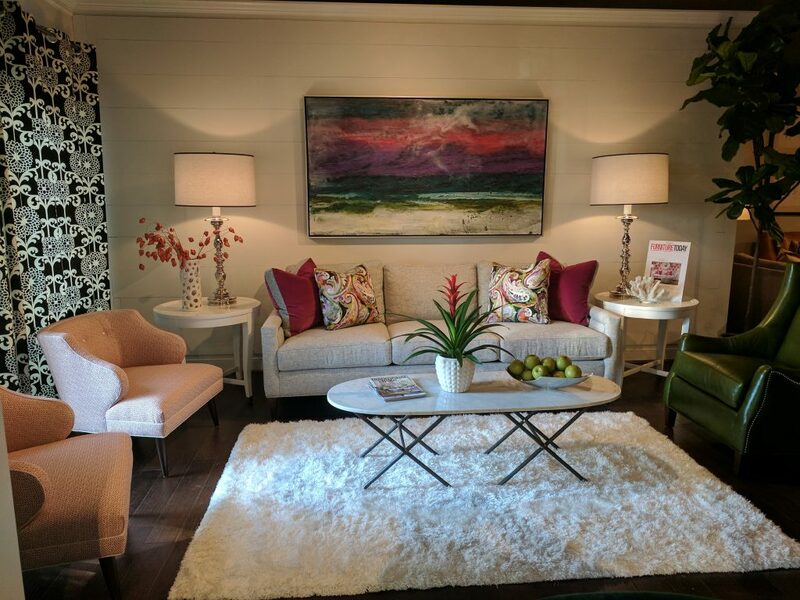 Call today to Schedule your FREE in-home design consultation with one of our professional interior designers!